What’s the Difference Between Computer Viruses and Malware? Often the terms malware and computer virus are used interchangeably however they are in fact not the same. A computer virus is just one type of malware that a computer can become infected with. It is a commonly used term to describe an infection within a computer system. The term malware is a broader term and refers to any and all malicious software that infects a computer, including a computer virus. Two common types of malware that users are familiar with are spyware and adware. It is crucial that users install protection software to fight off new malware as it occurs. Malware infections are infecting computer systems and mobile devices at growing rate. Malware is a software program that has been created to cause damage and spread infection from a host system to systems the host comes in “contact” with. Including computer viruses, malware includes various types of software including trojan horses, worms, adware, and spyware. The most aggressive malware, known as ransomware, works to gain financially from computer users. Viruses: As previously stated, a computer virus is one type of malware on its own. A virus is infectious software code that is used to infect a host system and spreads when it runs. Computer viruses are most often spread when software is shared between computers. It is similar to a parasite in that the virus “feeds” off the host computer and spreads from the host. Once the host shares the virus it then continues to spread to systems that it is shared with. A lot of users with viruses end up with them due to receiving and opening an email that has a virus infection. The more the email is shared, the more systems ultimately become infected. Adware: Infected software that comes through in the form of advertisements is known as adware. This type of malware that provides advertisements in order to bring in revenue for the source. The infected ad is shown to the computer user and when the ad is installed the system is infected. Adware software is coded in a manner that it uses the sites that users often visit to create related ads. Although all adware does not have the intent to harmful it becomes a problem because it slows down computer function and can be quite aggravating. Spyware: Software that spies on your online activity and tracks where you go on the internet in order to gather information on the user is known as spyware. Users do not consent to the tracking and often do not know it is running. Spyware is a difficult type of malware to detect. Employers may install spyware programs to monitor the online activity of users. Employer installed spyware software will not spread. Worms: A worm is a malware type that duplicates itself and annihilates the information and files that are saved on the pc including the operating and data files. Trojan: Trojans are a virus that has been created in a manner that builds user trust by making them think they are about to tun a safe program. They are designed to steal information and then take over the files within the computer system. In larger commercial settings, Trojans can make network resources unavailable to users when they try to reach it. Ransomware: The most malicious type of malware is known as ransomware. Users are unable to access the system until they have paid a fee. Often times a pop-up shows on the computer screen which states the user has been locked out. It will state that a ransom fee needs to be paid in order to remove any restrictions that have been placed on the system. Cryptolocker is the most well-known type of ransomware today. If you believe that your personal computer, server, or network workstation has become infected with malware it is critical that the system is shut down and immediately scanned by software that is specifically designed to locate and remove infections. The professional IT specialists at Creative Programs and Systems can perform these scans via remote desktop, in person at your location, or on-site in our Brighton, MI location. Author Kevin GermainPosted on April 23, 2019 Tags Computer Virus, malware removal, virus removalLeave a comment on What’s the Difference Between Computer Viruses and Malware? Author Kevin GermainPosted on March 22, 2019 Tags Computer repair, computer repair store, Computer services, computers services list, pc troubleshootingLeave a comment on When Do You Know Your Computer Issue Needs A Computer Technician? With the creation of television came the start of an era where technology including video would rule how we gather information. This advancement and the progress of technology since has increased the effects that video has in building a successful marketing campaign. Video technology is without a doubt a powerful source when impacting consumers decisions. Engaging video content influences its audience and therefore is a necessary element when creating a complete digital marketing campaign. Thankfully for the marketers of today there is a cost-effective source to introduce your brand via video, YouTube. YouTube video creation isn’t a new concept however the way it fits into a digital marketing strategy is. Long gone are the days of lengthy videos with production crews and long hours editing and in with technology that makes video creation affordable and simple. You know longer need a Hollywood produced video to launch your brand, low barriers to enter the video market have made it possible to start launching videos at just pennies of what it once did. Videos can be something simple as snap shots of how products are made or something as simple as snippets of working with clients. Slideshow videos or one person showcasing your company or their project, it is all about offering something unique to your clients. Ever heard of “going viral”? Your videos need to be watched so our job as marketers is to create something people will want to watch. One drawback to the ease at which YouTube videos can be created is that the market becomes saturated. In order for your business to stand out amongst the crowd it is crucial that videos are created that speak to consumers by sharing a quick, memorable snippet that reaches your audience and persuades them to seek more information. When this is achieved you are one more step closer to digital marketing success. YouTube is a terrific platform for companies looking to advertise. Previous advertising efforts involved the creation of commercials and finding channels which were deemed to share similar target audiences. Of course, there was more too it but essentially the goal was to have your companies’ video/commercial reach people that were interested in what was being offered. The problem however was that the reach of the video was based on an educated guess. Thankfully, we no longer have to operate like this. YouTube however let you target your audience not only through online videos but ad placement as well. When a user watch’s a topic specific they are then shown ads related to that; this is known as placement based on contextual user intent. Another method of targeting is based on online behaviors. Ads and videos will use the search history and website cookies of the user to show more ads and videos related to the topic. Sometimes the best way to target an audience is based on the user’s demographics and geographic information. Videos and ads will be shown to individuals within a specific region despite recent searches or videos that have been watched. Because of these qualities and more, YouTube is an essential element in all digital marketing strategies. In order to grow your business and online presence it is important to become a recognizable fixture in this online fixture. Google Ads is a form of paid advertising through the search engine, Google. Ads are shown to users based on their searches. The major benefit of using Google Ads is that consumers are seeing ads targeted to their searches while they are actively searching for your good or service. Google Ads makes up for over 40% of the digital ad revenue for the entire world. Internet presence makes or breaks businesses throughout a number of industries. Marketing professionals must transition from traditional marketing methods to digital marketing methods such as Google Ads to preserver. This situation makes the internet cluttered with intense competition. Both businesses and consumers rely on the internet in making purchasing decision, product research, and more. In the past brand awareness between business and consumers came from a variety of methods including newspaper, billboards, radio, and television advertisements. This was a great method of marketing between business and consumers however left business to business advertising suffering. Digital marketing, specifically through Google Ads, has transformed the way in which we create brand awareness within the marketplace. 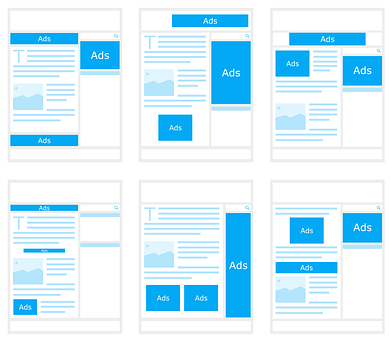 Google Ads allows brands to advertise to targeted audiences that are researching specific products or services using specific keywords or keyword phrases that relate to the advertising business. Brand awareness is one of the many benefits businesses have advertising on Google Display and Search networks. Google Ads works faster than search engine optimization. SEO is a slow, methodically way in which to increase your organic presence online. For businesses looking for a long-term presence within search engine rankings benefit from a combination of both organic and paid advertising. Google Ads allows businesses to pay for visibility in the form of Google Ads amongst top competitors. They allow your business to advertise directly to a target audience that is actively seeking out your products or services. Google Ads brings brand awareness about faster than traditional SEO methods. There is a tremendous amount of competition with paid advertising. The benefit however is that the business owner is in complete control of the amount they are willing to bid for top positions of their ads. A number of elements go into the amount each of the clicks on your ads will cost as well as the position at which your ad will sit on Google Search Networks or Google Display Networks. These include: Keywords Quality Score, Ad Relevancy, Landing Page Relevancy, and Expected Click Through Rate. 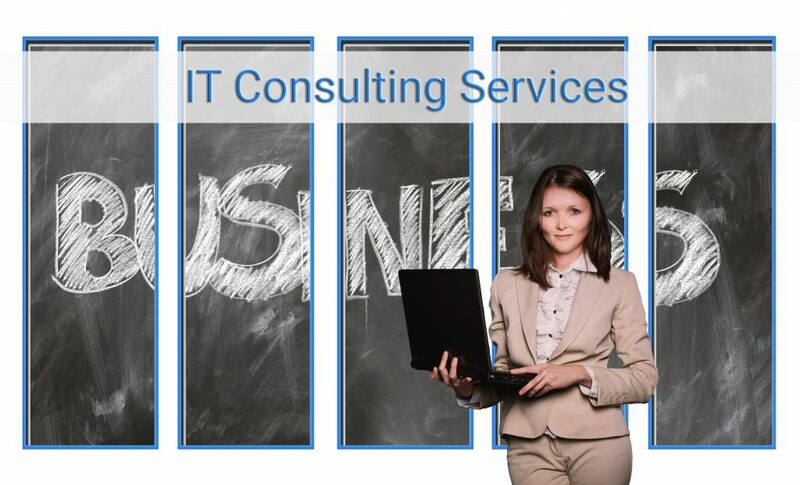 Author Kevin GermainPosted on March 5, 2019 March 8, 2019 Tags computer consulting, computer consulting services, IT consulting, IT consulting services, it services, IT services company, it support, IT support servicesLeave a comment on Can An IT Consultant Benefit Your Business?